Registered in England and Wales company # 03449181. © Copyright: Conwy Valley Systems Limited 2000-2019. Deganwy, Conwy, LL31 9BW, United Kingdom. A Geoscience Wales founding member. Create a new folder on your machine and give it a suitable name, such as Petrog4InstallationFiles. Finally, follow the instructions in the installation guide, which should now be located at e.g. 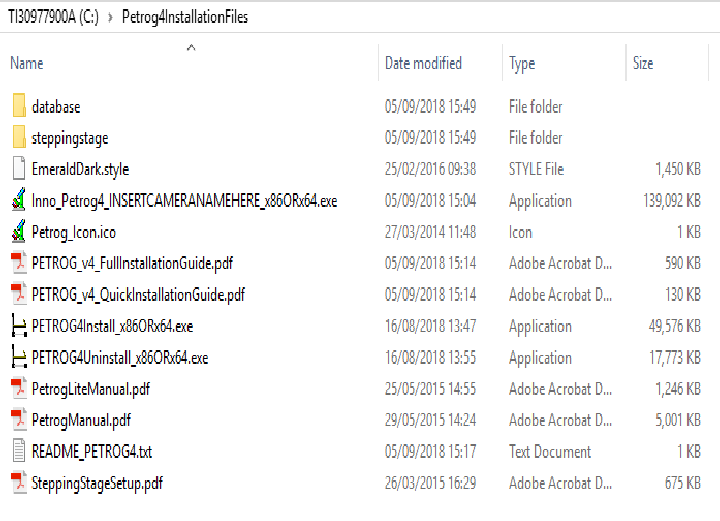 \Petrog4InstallationFiles\Petrog_v4_QuickInstallationGuide.pdf and \Petrog4InstallationFiles\Petrog_v4_FullInstallationGuide.pdf. If you already have Petrog2 installed and you have by-passed Petrog3, then you will be prompted as to whether you wish to migrate your existing data from version 2 into version 4, and if so full instructions will be displayed. Users updating from Petrog3 to Petrog4 should simply run PetrogInstall.exe as described in the installation guide, install Petrog4 and then specify that PostgreSQL is already installed and follow the on-screen instructions. Important : If you already have PETROG 4 and wish to upgrade to the latest release then go here.